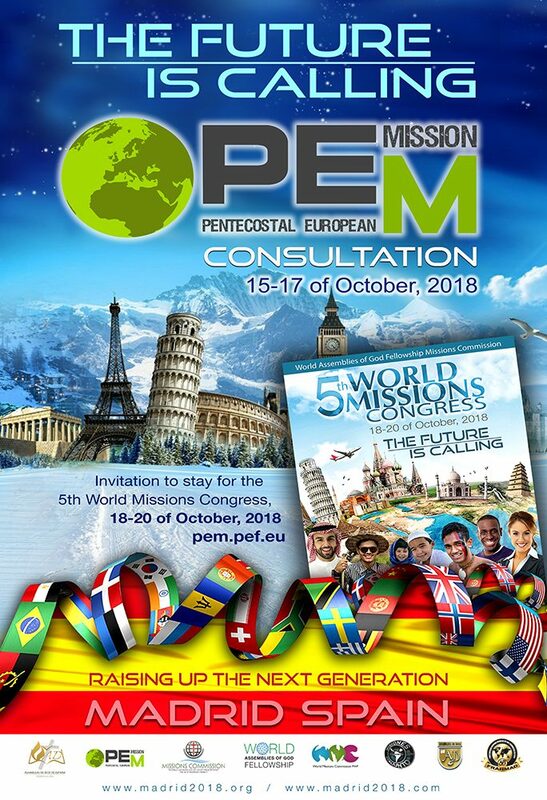 PEM Consultation 2018 will take place prior to the 5th World Mission Congress, October 15-17th, in Madrid, and is open for the European mission and movement leaders, as well as for the authorised representatives of the PEM member organizations. The participants are also welcomed to join for the mission leaders’ meeting on Wednesday for the purpose of global networking. 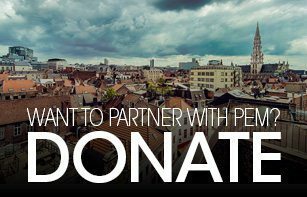 If you are from the PEM-PEF family, and wish to attend the congress as well, you can register for both via the PEM. Registration HERE. 12-13 – Future of Sending, Prayer, and the Unreached – answering together? We will meet with Global Missions Leaders from Global A/G And Pentecostal World Fellowship.